Truly is a gorgeous lilac creme polish with added blue and pink flakes. Shown here is two coats plus top coat. 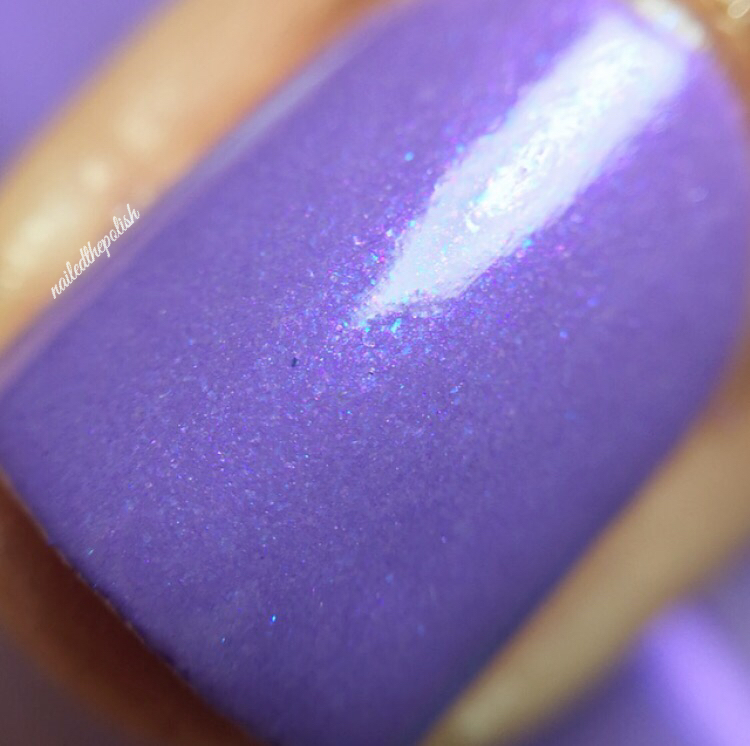 I don’t know if it’s just me but I could never find a nice lilac polish – that is until now! Beautiful formula that was almost opaque in one coat! 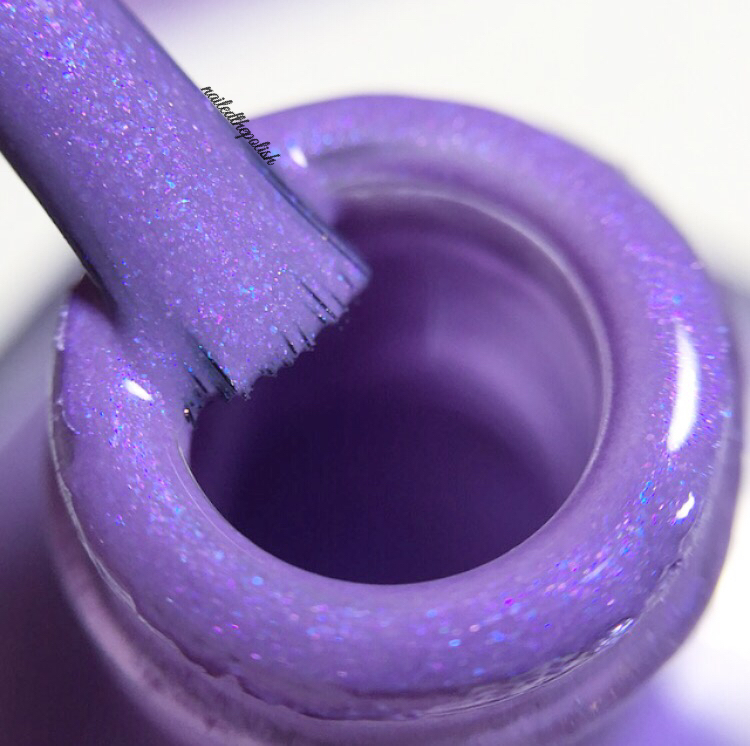 Madly is a perfect pink creme polish with violet and blue flakes. Shown is two coats with top coat – this polish was also almost opaque in one coat. I am madly in love with this polish! (see what I did there? 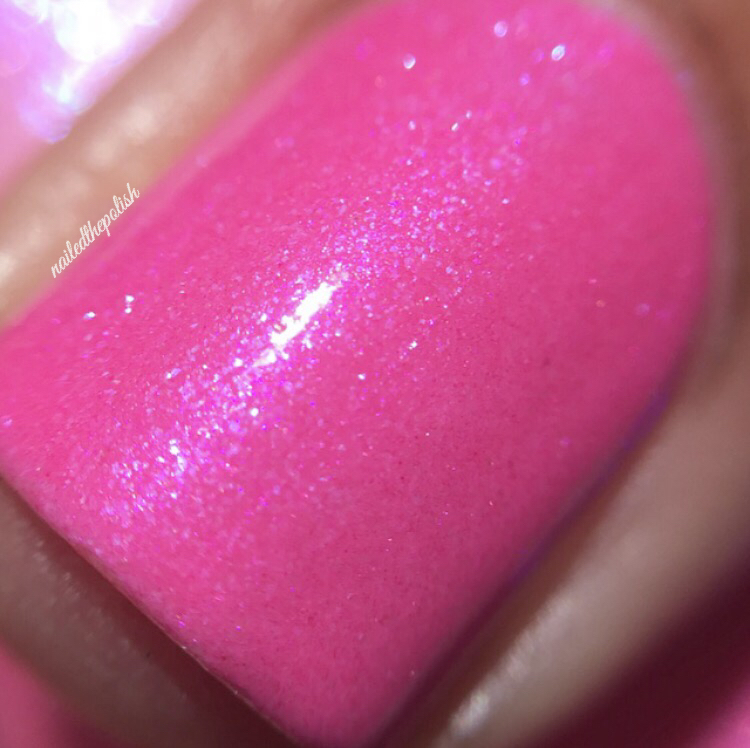 😉 ) It really is the perfect shade of pink and the shimmers from the flakes are noticeable in almost any lighting which is great! Last up is Deeply – a deep red creme with purple flakes. Shown here is one flawless coat with top coat. 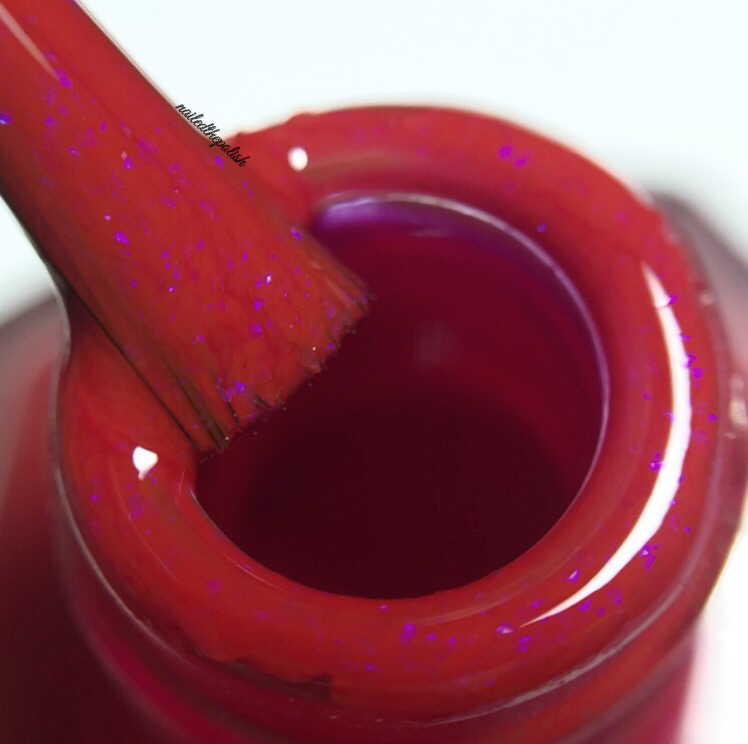 If you’re a fan of red and flakes – you NEED this polish. Even if you aren’t a fan, you still need it! The flakes make this polish so unique. I do not have anything like this in my collection. 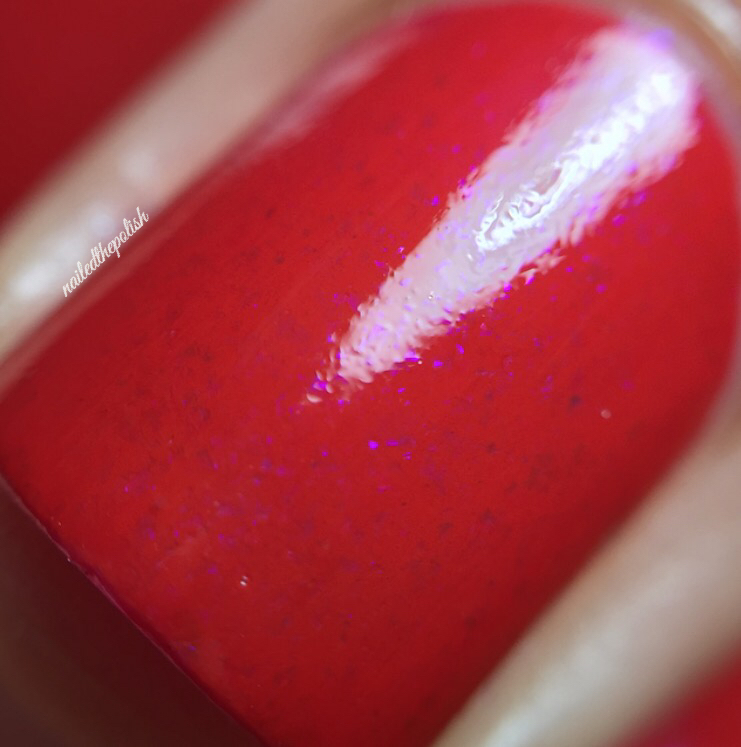 It was a little difficult to show the flakes in my swatch but you can definitely see them in the bottle I am holding as well as the two macro shots below. I love how subtle this collection is in regards to Valentine’s Day. Together they encompass the traditional color scheme but they can definitely be used year round because they aren’t your typical V-day polishes. The flakes in each polish are to die for! Application and consistency are great. No favorite here because I love them all! This collection is available for purchase here. Individual bottles are $8 and the full collection is $21 (that’s $1 off each polish!). Check out Dashing Housewife Polish on Instagram or Facebook for more swatches!